When we last had this conversation we were talking about Y.E. Yang doing the seemingly immortal task of taking down Tiger Woods in the 2009 PGA Championship. We were amazed that it finally happened but deep down we knew that eventually someone would take down the giant and win a major when it appeared to be his for the taking. Well one year later and my oh my look how much everything has changed. Prior to the “off season from hell” we thought that 2010 was going to be the year that Tiger Woods would feast on the major championships, some even predicted that he’d win them all and be tied with Jack Nicklaus with 18 by now. The venues certainly setup for it, Augusta National (Masters), Pebble Beach (US Open), St. Andrews (British Open), Whistling Straits (PGA). Obviously the last was the biggest question mark, the only venue on the 2010 circuit that doesn’t seem to be owned by Eldrick T. Woods. Well, we know the story very very well by now so you won’t see me rehashing all of that mess, but by the start of the 2010 majors we simply did not know what to expect anymore. Phil Mickelson, Graeme McDowell, Louis Oosthuizen, and Martin Kaymer- if not for Mickelson you’d get think this was the name of some fancy law firm or something. Well like it or not these are the names of the 2010 major champions, let’s take a quick look back on the year that was at these historic major venues and see if we can’t try to make a little sense out of it all. 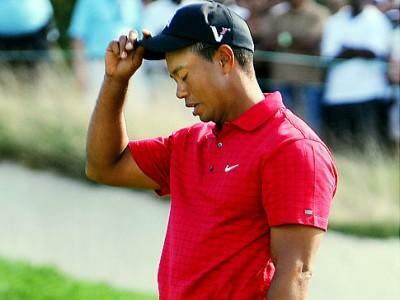 The 2010 Masters was all about Tiger Woods going in, how would he play, would he win, would he miss the cut? Anything could have happened and nobody would have been completely surprised, Tiger could have won the event and everyone would have just again marveled at his mastery of the game, he could have missed the cut by a mile and everyone would have chalked it up to his time off and the events leading up to his world completely crashing down around him. So what does he do? Well he shows up, seemed to say some of the right things and amazingly to me played himself into contention all week long. Looking at where his game is now makes it even more amazing that he actually contended in his first event of 2010. Die hard Masters fans finally got what they beg for each year, we had Tiger Woods, Phil Mickelson and world number 3 Lee Westwood on the first page of the leaderboard; each played solid enough to win this thing if they could just get off to a good start and get a few good breaks along the way. We had the stage set and with the help from a few players we did not expect to be there in 50 yr old Fred Couples and 60 yr old Tom Waston we finally had it all. We were not let down either, we had shots going in from all over the place and it wasn’t until Phil Mickelson hit what I believe to be the greatest shot in Masters history with that 6 iron from behind the trees on 12 to setup a birdie that would ultimately help lead the way to a 3 shot victory. The scene afterwards with him hugging his wife Amy behind the 18th green, both crying and not saying a word was something that I’ll never forget and when it was all said and done left me thinking I might have just witnessed my favorite Masters memory. Well done Phil! Again we go into a major title with more questions than answers about the state of the hands down favorite going into the U.S. Open contested on the historical links of Pebble Beach. Last time there was a U.S. Open here Tiger Woods shattered records and made everyone wonder if he really was human being after all. We again had a leaderboard that was every golf fanatics dream with Tiger Woods, Phil Mickelson and this time around Ernie Els all right there seemingly within reach of the U.S. Open trophy. Scoring was tough, after all it was the U.S. Open at Pebble Beach and we knew it was not going to be easy, but what I remember about the 2010 U.S. Open was the train wreck that was taking place, not only with Dustin Johnson who had his own train wreck we’ll talk about later, but with all of these world class players that us golf fans just knew would step up and grab that trophy while everyone else fell around them. Someone had to do it, no way would Tiger, Phil and Ernie all falter at the same time when it was so there for them. But yes, it would happen. Each of the “big three” had their hands on the trophy at one time or another in the final round and each time they turned around and gave it away as quick as they could. The biggest challenge came from Frenchman Gregory Havret who everyone expected to fall away early, he kept things going strong and it wasn’t until just missing a putt on the 72nd hole that we’d finally be able to cross his name off the list of possible champions. 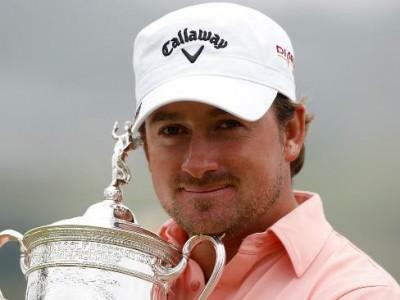 In the end it was Graeme McDowell who survived the blood bath to win his first career major title. It was quite a scene as McDowell stood in the middle of the 72nd hole trying to become the first Irishman to win the U.S. Open, waiting to see if he would be forced to go for the green to win or if he would have the luxury of laying up and playing for par. The lay-up was enough and the par was made giving him a 1 stroke win, at the end of the day a well deserving champion was crowned. Ah, the British Open at St. Andrews! Nothing speaks to the golf purist’s warm fuzzies quite like waking up at 5 AM to turn on the TV to see the British Open at St. Andrews. So going in we have seen the world’s number 1 put up back to back T4th so everything had to be setting up for a Tiger Woods win here at the home of golf, right? Last time we saw the British Open contested on the storied links of St. Andrews Tiger made it 2 for 2, it wasn’t to be in 2010 though as Tiger would finish 13 strokes behind the eventual winner. As is often the case in the Open Championship there were very few American flags near the top of the leaderboard on the weekend, obviously this does not immediately indicate a boring championship however as we yet again watched as Lee Westwood found himself in contention with another major title at stake, a 2nd place finish at the Masters told us all that his game was solid and perhaps it was just a matter of time and he would finally break through. It turns out that Westwood would have to wait a little longer, not because he choked it away this time though, it was simply that there was no title to be had because of the firm grip Louis Oosthuizen had on the Claret Jug as he completed a runaway win that saw him consistently hitting bombs for drives and routinely making the putts on his way to a 7 stroke win. I’ll be honest, before the 2010 British Open I thought Louis Oosthuizen was an old guy that had long since played past his prime, turns out I could not have been more incorrect, at just 27 years old the South African is yet another name on an ever growing list of top tier players following the footsteps of countrymen Ernie Els. 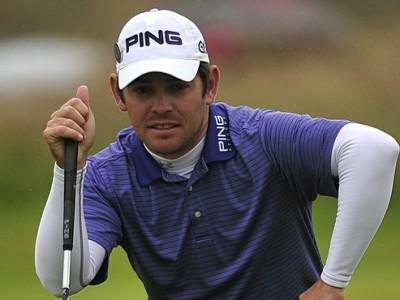 Big win for South Africa and an even bigger win for Louis Oosthuizen! 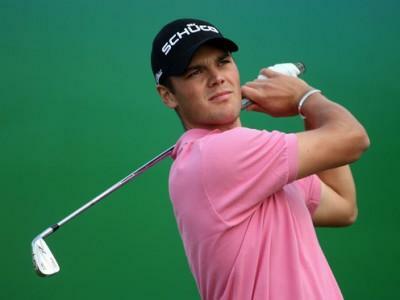 Martin Kaymer Wins 1st Major...Bunkergate Happens! Returning to Whistling Straits the PGA is often called Glory’s Last Shot. Heading into this event the media was making this out to be Tiger Woods’ last shot as well, coming off his worst tournament as a professional nobody in the world knew what to expect out of Tiger anymore. Experts were all over the map with their predictions going into the PGA, everyone from local hero Steve Stricker to young gun Rory McIlroy were mentioned as potential contenders for the 92nd PGA. If the British Open was the anti-American leaderboard then the PGA would have to be the exact opposite as the U.S.A. was well represented as it seemed that every American player hoping to secure a Ryder Cup spot in its final week of qualifying was on top of their game. The course and conditions lead to some very low scores in the first 3 rounds of the event, showing yet again that the best players in the world can take just about any track to its knees in calm favorable conditions. I mentioned Dustin Johnson in the U.S. Open review above, we all sat and watched in horror as Dustin’s dream of winning a U.S. Open blew up all over the place right in front of us. This time it was Nick Watney. Watney had a 3-shot lead going into Sunday’s final round before things just completely fell apart for the young American. At any given minute of the final round we had a good half a dozen or more players who were looking like they’d step up and take control. We had major winners such as Zach Johnson and Steve Elkington (yes that Steve Elkington) both with at least a tiny piece of the lead at some point. We saw Mickelson go on an absolute tear on Sunday, albeit from just a little too far back. Tiger Woods was hitting the ball all over the yard on the weekend, Sunday alone we saw him hitting from spots that even the spectators couldn’t get to. Rory McIlroy was there and we also had long bomber Bubba Watson completely over powering the course with drives that routinely went around 350 yds, I’ve never seen anything like that. By now we’ve already talked about what happened to Dustin Johnson, why do the golf gods hate him so much? He seems to be a nice enough guy, sure maybe he could be accused of seeming a little slow, especially after not reading the important information posted all over the place about the bunkers on that course. Sure it is ridiculous, but that’s not for us to argue about, the rules are the rules and DJ should have known better. After the massacre known as Bunker Gate we were treated to another playoff at Whistling Straits, this time Bubba Watson and German Martin Kaymer required extra holes to settle the title, exchanging birdies on the first two playoff holes were Watson and Kaymer but in a major where regulation play ended with such a wreck it was only fitting that we’d see yet another disaster unfold as Bubba hit his 2nd shot in the water after a not-so-great drive ultimately allowing Kaymer to lay up and play for a bogey to go on and win his first major title. You can’t take anything away from Martin Kaymer, all day long on Sunday as guys would take turns missing crucial putts or hitting terrible drives it was Kaymer who was rock steady all the way through the round. Martin Kaymer definitely deserves a major win, but just like Dustin Johnson does not deserve two major hard breaks in the same year. So here we are, back to back seasons with Tiger putting up a goose egg in the major win column, I think it was quite a surprise given the venues he was on, but then again when you look at everything that has gone on and has continued to transpire in his life it really shouldn’t be much of a shock. Phil got his major, he could have gotten another with a good bounce here or there but all in all I think Mickelson has to take a lot of good away from the 2010 major season. Sure that elusive U.S. Open title still eludes him, but eventually he’ll get one. Chances are if someone said the names McDowell, Oostehuizen, and Kaymer you would have expected “attorneys at law to follow it. Not the case however, instead we’ve got 3 golfers under the age of 30 who each stepped up when the opportunity presented itself and etched their name in the history books. Now just because we’ve heard little about each guy prior to 2010 does not necessarily mean they are the next Todd Hamilton, I believe we’ll hear from each of them again, rather soon in fact as both McDowell and Kaymer will be representing Team Europe in the 2010 Ryder Cup, speaking of Ryder Cup, stay tuned to THP for extensive Ryder Cup coverage before, during and after the competition. Great Article…… one mistake though…. on Masters its a 6 iron on 13 not 12. I have long been trying to explain the exact thing to my homies but I think it’s easier if I just email them the link to this page instead. Thankyou for such an insightful post.Hey!